Thinking of moving to Office 365, but not exactly sure what you get with it? As Microsoft empowers their own cloud offer with new features, it can sometime be difficult to follow with everything inside of it. To understand what it is and how it works, properly. What is Office 365 and why should I care? A fair question if you ask me. There's so much technology out there and they all promise to solve my business needs. So, what is Office 365? It’s all in the name: access to your Office from anywhere and anytime all year-round. Imagine logging to your computer with this Office account and everything is there, your access to your files in your File Explorer synchronized through OneDrive for Business and all your Office applications already working. Move to your mobile device and logging in will give you the same access to everything you're working on. Office 365 is that promise. Whether you are thinking of using Office 365 for your organization or already on it, this video will help you better understand what you have and how to use it. Let’s take a look. Thank you so much for attending. We're really, really happy for you to be giving this time, so I'd better be good, right? So quickly, this is me. My name is Benjamin Niaulin. I just went from a SharePoint MVP to an Office 365 MVP, so that gives you a bit of how things are going inside of Microsoft, as well, in the way that they award the MVP Program. So if you want a contact with me, don't hesitate to contact through Twitter, through email, visit on the blog, leave a comment, I'll be more than happy to help. In fact, I see many, many familiar names from some of you. Hi, Matthew, who's been here, possibly every webinar for the last three years. So thanks for joining. I'm really hoping that it'll be valuable for you, and everyone else that's been constantly giving their support, so thank you very much. As always, this is obviously made possible by Sharegate. Sharegate is a SharePoint Migration, Management, & Reporting tool for both on-premises and Office 365. It's not a per-gigabyte or anything of the sort, support is included, of course. I'll put it at the end, and that is the last time I will be talking about Sharegate here. We want to explore Office 365, of course. All right, let's get started. Of course, I always begin, this is a classic. Begin with the problems, right? Because if you're just looking at Office 365 because it's new, I understand. You're a geek, just like me perhaps, and you like to play with the new, shiny things. However we're trying to solve problems. We're trying to help the business that we work for that's trying to solve their needs, and I think the biggest one, and of course, a shout out to city of Montreal in the background where we're from, but finding content. If somebody tells me that that's not a problem for them, I'd love to meet you and I'd love to talk, to see how you guys do it. Because that is the number one problem. I think we've been trying to solve this since plowshares existed. Because our content is all over the place. It's duplicated. Is it in that folder? Is it in this folder? Is it that file? No, it's the one that's on Joe's My Documents. He hasn't sent it or it's in the third email, the V7 folder. In fact, I'm going to tell you a secret. Don't tell the customer. But back when I did consultant work, a lot more consultant work, I spent one day working on something. Building a diagram, building an architecture, and at the end of the day they told me that it was all wrong. Guess why? I was working on the wrong file. I wasn't working on the latest version where they had told me it was. Somebody had the real version in their inbox. They were working straight from their email inbox. Amazing. So finding content is still a problem. You can add SharePoint to the box. SharePoint is great, right? What did we say? We said, "We're going to leave those plowshares. We're going to leave those shared drives and all of that, and we're going to go and head towards, of course, SharePoint." And since SharePoint 2001, 2003, 2007, 2010, 2013, we've got 2016 coming up in spring. With all of this including an Office 365, we've been looking at metadata. That's supposed to solve all of our finding content problems. What is metadata? Meta means more, data, more data, like meta-verse, instead of the universe, the same concept here. So what we have is we're saying, "Put your documents, and put your data in lists in libraries." We'll go over that quickly. But you basically tag them, kind of like you do on Facebook or on Twitter where you do a hashtag. You tag your conversation. But with documents you tag them, as well. With content, you tag it, as well. What happens with this? Has anyone of you actually filled out the metadata after three months of using SharePoint? Imagine you, and imagine the people, where you told them, "Instead of using files and folders and just dragging and dropping your documents in there, now I want, every time you upload a document, there's a little mortgage form that you've got to fill out. There are about five pages of data." No, yeah, you know what I mean. I can see you smiling all the way from Germany and from everywhere. Yes, it is still a big problem. So finding content is definitely one of the big challenges and Office 365 is trying to solve that, and we'll see about this. I'm still a little skeptical. But we'll see how they're trying to solve it and what we have right now using Office Graph and Delve and we'll talk about all of that. This is another big, big, big problem. It's always more complicated than we expected, especially for those of you that come from a SharePoint background. But it can be from any kind of things that you put into place. It started out it was supposed to be a small project, and you're about $200,000 into the project later, eight months later and still not finishing the first task that you set out for. So it's always more complicated. It's never easier and it's never simpler, so that's a huge factor as well. These are problems that we're living right now. With Office 365, I want you to put yourself in the shoes of the business a lot more. Because there's a new reality there as well. But before we get there, classic, I love this slide. I use it quite often, so you may have seen it before. People that, we over customize. We do it ourselves. We could just put a simple page with the news and with the documents that we need. But, no, we're going to put a slider. We're going to put a weather web bar. We're going to put a slider that's 3D and we're going to put dropdown menus and we're going to customize something. We're going to add another custom solution, and what happens in the end, is we torture the product that we were given. We torture SharePoint. We torture Exchange or anything of the sort, especially SharePoint. It's been tortured, and so what they've come up with in Office 365, is a way to not torture SharePoint and really find some other solutions. And lastly, this I still get today. We may think that it's a reality that everybody's able to work from anywhere, nice and easy nowadays. But it is still the number one reason why I get contacted to meet up about OneDrive for Business or about Office 365, because we are mobile today. This is hilarious, and by all means, I hope that it's not the actual case, but what I'm seeing now is a commercial by Microsoft showing a person continue to work from the toilet. Now I hope that that place is still a no-work zone. But if you must, okay. We'll leave that aside. That's an interesting commercial by Microsoft to look at. But it is a problem. We need to be able to work anywhere. The other day, actually it's been a couple of months now. I was supposed to work with somebody and I needed to continue the work somewhere else or from another office. There's no way. I had to try and download a VPN program. I needed to connect. Something was wrong with the router wherever it was. The firewall, and then it was like, "All right, let's try an FTP." A horrible experience again. A white box that looks like it was from even before the year 2000 and I'm supposed to drag and drop files in there. There are errors and I don't understand why we're still even bothering with these scenarios. But it's the reality. It's what we're doing right now. What many are doing right now, and frankly this is why Office 365 is becoming so popular today. It's this. The reality is that IT, us, the geeks, the people in charge of putting things into place, we're getting bypassed. Nowadays the industry has changed. People can go online, subscribe to Vimeo, YouTube, Wistia, SalesForce. And there was another funny thing the other day. We were meeting this guy. I remember that initial, "We're never going to the cloud. We're never going to the cloud," and then somebody walks in and they say, "We're trying to figure out how to go about with this, our SalesForce problem." And I'm like, "Wait. Hold on a second. You realize that SalesForce is in the cloud, right?" Anyway, so people are finding solutions. It's often free or it's something like $4 per user per month, $10 per user per month, and the people in the organization just go ahead and subscribe and use it. In fact, I'm not supposed to say this. But I do it here as well sometimes, and I do it with customers. We're working for a very, very large engineering company with offices worldwide and in a military context as well. So they needed to send me some video files, so that I could edit them. It wouldn't work. This wouldn't work and then we used Dropbox. Now Dropbox is in the cloud and we have OneDrive. One Drive was blocked from the firewall, and then we figured out there's a... There's always a solution if people with Google and their new ability. Nowadays they're not scared of computers. We've had Apple to thank for that with the iPads and the iPhones and easy apps. So now they're using and finding solutions, and they're literally bypassing us. In fact, this is back in 2012. In 2012, 58% of respondents to the survey say that mission critical workloads are running in the public cloud whether their policy allows it or not. This is exactly what I was talking about. This is from ZDNet, a very popular tech news website. Another one from Computer World, this is a quote from inside. Their line organizations, like marketing or manufacturing, go around IT to setup their own cloud servers. They can get something cheaper and faster than they could by going through IT, but it's probably not compliant and it's not, right? My example earlier, and I have another example for you. You've heard about this one. It's a couple of weeks old. Hillary Clinton's using personal email to work in the State Department. Wow, if that bypasses compliance and security. Yeah, it pretty much does. And that's another example of, if it's easier, if I can go get it myself and it solves my problem, why would I wait to go and ask IT to go through the process of, to wait for approval, and finally often get a solution many, many weeks or months later? That's not even as good as what a company online has been dedicating their work and team on, for the last months or years, even. Why not use something that already exists, instead of having IT build it from scratch with IT folk that are not necessarily specialized? We can't be specialized in everything. You can't know how to do a video portal with transcoding, and at the same time be a SQL server expert, and at the same time, know how to build everything in SharePoint. And often we're very, very limited in terms of resources or people, I should say. I hate saying the word resources for people. So let's begin. We have the new Microsoft and I'm really, really happy with the new Microsoft. This image, I think, really encompasses it well. They woke up. Because this whole problem of people bypassing IT, isn't just an IT problem or a CIO problem. It was also a Microsoft problem because more and more people were stepping away from all of these solutions, from Office. At some point, I even stopped using Office. I found some other solutions on the web that allowed me to edit in Word documents straight from there, on the web, no application. I use a Mac, so I needed it to work. But the release cycles for anything Microsoft was three years. Three years in technology with what's happening today. That is decades in technology years, just like dog years a little bit. So the new direction is very agile. We look at what's happening on the market, and we provide it through solutions, like Office 365 and you have to look at Office 365, as that. As bringing new solutions, so that you can keep people in your ecosystem. So let's take a look. What is Office 365, right? Office 365, this is a slide from Microsoft. Mobile First, Cloud First, I think everybody's repeated it many, many times. First it has to do work on every device on everything, including iOS devices, iPads, iPhones, Android, Windows phones, and also our different devices. Even our Xbox, our watches, whatever the case we're going to and for that, we're going cloud first. That means that new features are going to go into the cloud. What is the cloud? It means you don't have to worry about the servers. You subscribe to what Microsoft is offering. In this case, it's a package called Office 365. You subscribe as a business. You subscribe your users to it, and they'll be able to leverage the experiences, the solutions that Microsoft has decided to put there, so that we can use them and not have to bypass IT to go get it. That's what Office 365 does for us. It allows us to just subscribe and start using, not having to worry about the servers and backing them up all the time. Of course, you can find third party solutions for backup, but you don't have to worry about all of this. You just subscribe and you use, and more and more that's what people in the business want to hear. That's what they expect. It doesn't mean that we don't need the IT person anymore, trust me. That person is needed now more than ever. It's just different. It's changing. All right, essentially this is Office 365. You subscribe to the thing that is Office 365, somewhere in the cloud. Now Microsoft has many data centers all over the world. You can just connect and you'll be able to use it. The idea is that it never goes down. That's the idea. We'll see what actually happens, but so far it's been pretty good. Now what Office 365 does, is it looks at the core products of Microsoft that have been in companies everywhere today. Every enterprise, every organization has had Exchange. We all have Exchange for email. What else do we have? We have Lync for instant communication, now Skype for Business. But it was for online meetings, video calls. Let's deal with this. It includes Yammer for social in the enterprise. Social networks, but within your company so you can eliminate some emails, to engage and have open communication within your organization. Again, we'll locate Yammer very soon, as well. We also have OneDrive for Business. I'm not going to open Pandora's Box right away. Most of you know how I feel about OneDrive for Business because it's often misunderstood. And we have SharePoint. This is all core products that are part of the Office 365, so they took these. They put them in the Office 365 and what they do is they're going to put together in a certain way so that you can just say, "I'm going to pay $12 per user per month and we're going to use these." I hope that makes sense. And lastly what is very, very advantageous to your users is, of course Office on the left here, is included as part of the Office 365 subscriptions. Your users can add Office on their tablets. They can download them on their Macs. They can download them on the Windows computers, and of course, now we have the 2016 version available. And that's another advantage of Office 365 is you don't have to worry about the release, the updates, updating from Office 2013 to 2016. People will be able to update it. Office 365 handles that rollout. So you have to be sure that when you do go for Office 365 everyone has deployed Office that is linked with their Office 365 and not just some Word, Excel, PowerPoint that they installed on the side with a DVD kind of thing. It's a different method of deployment, so that everything is connected to Office 365. Again, you do not install Office 365 anywhere. It's somewhere in the cloud. You subscribe to it. Microsoft took their core products, what is the most popular, and what people need in their organization, they put them in a way that you can use them, and they also allow you to download and start using the Office applications on multiple devices. What happens next with it is all up to Microsoft and you, how to use it. Now of course, if Office 365 is going to be rolling out new things all the time, you're going to have to understand the release cycle. How are things being deployed? If you guys are tuning out, this is the time to wake up for sure. Honestly and very seriously, you do not control anymore when things are going to change for your users. Buttons will appear and disappear. New items, new products will appear and disappear perhaps. So far I haven't really seen this. Here's how it works. We have things that are going to appear to your users. First, you start from the left. You follow the Office 365 blog, very important. You won't even acknowledge the speed on that and they're going to be announcing new things. From that announcement, in seven days, they'll open it up for people that are subscribed to First Release. So First Release is for your entire Office 365 tenants. Those tenants, those people who are subscribed to Office 365 and have voluntarily turned on First Release, will get the updates within the seven days, to perhaps a little more. It depends on the rollout timing. But the people that are in the standard release haven't opted in to get the new gadgets. They'll wait, essentially a month or 21 days of notification, before it starts rolling out, and even when something starts rolling out in Office 365, it doesn't mean that it's turned on for everyone at the same time. So if Delve, for example has been released, and you've reached a standard release cycle, it may still be three to four to six months before you actually see it. I'm exaggerating, but it's just to give you an idea. Now Office 365, don't worry we're going to be doing demos. I'm going to be going inside of the application, as well. I have tons of exciting announcements. I'm not even sure Microsoft is going to be happy. Of course, I'm going to try not to reveal any secrets today. But essentially it's all about experiences. If you've been following Microsoft, you've seen this word before. Experiences, experiences, experiences. If I was a bomber and backed during the show today. Instead of screaming out, "Developer, developer, developer," I'd be saying, "Experiences, experiences, experiences." The idea is to provide ready-to-go and ready-to-consume solutions that people are going to be able to use from anywhere and on any devices. So that's what you're going to see with Office 365. Now don't get me wrong. With Office 365, you still get SharePoint online. You still get just online. So nothing changes there. You still have the regular SharePoint you're used to. You still get the regular sort of Exchange that you're used to, to send and receive emails, calendars and all of that. You still get Yammer. You still get all these products. 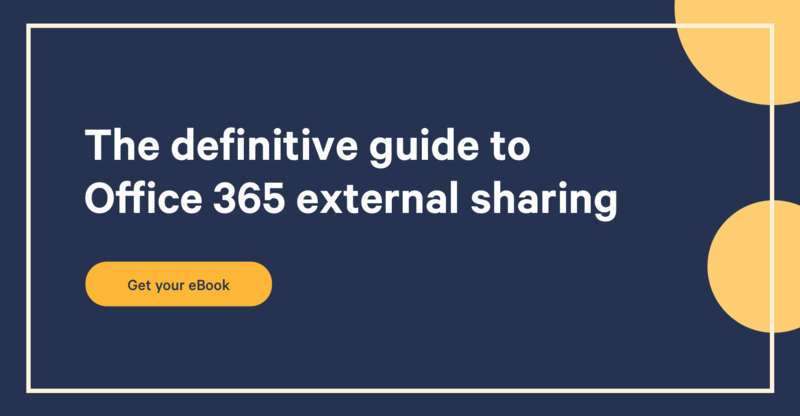 And what Office 365 does is, it still gives you the ability to use the things that you're used to, the SharePoint, Exchange, and then you can even connect it with your on-premises. We'll talk about Hybrid later on. But on top of that, it gives them an ultimate solution that's easy to use. That doesn't have 20,000 customizations. You can almost say that it's a rogue IT catcher. It blocks people from going outside of things that you control because there's a solution for that. Instead of going to Dropbox, putting files in and sharing them with somebody from outside of the organization, Office 365 comes with OneDrive for Business, and allows you to add external users. So these are the types of experiences that you provide. Like a Video Portal, so people don't go to YouTube or don't go to Wistia for internal training videos. That's the idea of Office 365 experiences, providing normally what you're used to and what you had before. But on top of that, adding on these experiences for people to use and consume. All right, so let's see what we get with Office 365. First and foremost, it begins with the App Launcher and for that I'm going to open up my little browser here. I'm going to open this up here and this is the home screen of somebody that's just joined to your company in Office 365. My name is not Alex. My name is Benjamin. This is a demo environment and quickly I'll see what's available to me here, but also if I go here on the top, this is the most important thing in Office 365. It's called the App Launcher. Now as Office 365 is rolling out, the person's going to be able to go into My Apps, where you as a company will be able to add your own apps that you've added from the internet, and such. Now we're going to be able to do all of this. Now of course my recording had stopped, so I'm just going to wait two seconds for the recording to continue. Thankfully we have a backup of this recording as well. So the App Launcher allows the person using it to jump between different places or different experiences. It's no longer Outlook and SharePoint. It's Sites. It's OneDrive for your files. It's Power BI. It's video. It's Delve. It's mail. It's little quick consumable solutions, and the App Launcher is definitely going to be the backbone of Office 365, for you and your users. You should be careful about one thing, though. This here. The different Word, Excel Online, PowerPoint Online, and OneNote Online. They're amazing. They allow you to open, edit, and view documents directly on the web. However, these four tiles over here, do not allow you to save your document where you want. They force you to put the document inside of your OneDrive for Business, so definitely something that you should be looking out for. All right, let's continue here. We're going to go back to our presentation. There we go. Then we've got communication. In terms of communication, we're talking about email, calendar, online meetings, Yammer. So, of course, what they've done is they've taken different products and different things, and they've put them together as solutions. So Outlook, what they've done is they've cut it into pieces. I hope you're not getting hungry. They cut them into pieces and they serve them to you. We just looked at it. We have the email. We have calendar. We have people. We have tasks. So quickly if I open up my browser here, and I can go straight to Outlook or from the App Launcher I just previously opened it, I'll get my email. But what's fun about this, what's different, and of course you can use the Outlook Client, but is that when you're using Outlook or email, I should say. We're not saying Outlook, anymore. You can quickly interact, and insert things that are in your OneDrive for Business, instead of attachments to the email. You can even add apps and Jeremy Fake from the Microsoft Product Team has just shown last week, that when a developer is going to build an app say for Word, it's going to work on Word for iPad, Word Online, Word to Client application. So you're going to see many, many more apps that are going to start showing up so that we don't torture SharePoint or Outlook or Word itself. Developers are going to build solutions on the side that you're going to be able to use. For example by default, we have an app that allows you to save templates. So if you have email to be sent out regularly they're always saying the same thing, you have an app for templates. Then there are tons of other apps to add a map from Bing Maps, to add LinkedIn contacts directly in the email. There are tons and tons and tons of things. So that covers the mail portion, but of course, we also have the calendar. This is the Outlook Calendar as well, and we have all of the benefits of Exchange. It's just that it's as a consumable thing. It's called the Calendar. It's not called Outlook. And the same thing for people, for your contacts, and Tasks for your Outlook Tasks. It's just that they've taken them out, so that we'll be able to modify these individually with apps and whatever comes up in the future. Man, I have so much to say for Office 365 and I'm looking at the time, and I hope you guys can stay. I'm exaggerating. We'll make sure to finish on time. Then you get Skype for Business. So some of you may have heard of Lync before. Lync has been rebranded and renamed into Skype for Business, to follow with OneDrive for Business, for example. And really what Office 365 does, it's almost a consumer product as well, is it broadens the audience. So it allows many, many more and not just enterprise, not just organizations, but small companies, small teams to create their own. And so the fact that it's called OneDrive and OneDrive for Business and Skype and Skype for Business, it allows those people that are just coming into this field, to really feel comfortable as much as possible. So Skype for Business, I've been using it for a couple of weeks now that it's been out in preview. It's actually pretty cool. They didn't just rename it. They actually changed some of the things. So what Skype for Business is going to allow you to do is, obviously you have conversations, so like chats, if you're used to that or MSN Live Messenger back in the day or ICQ, if you want to go that far. But you're able to open up conversations, and I'll give you an example. We just announced at Sharegate, we just announced a partnership with Nintex, another vendor in this world and I wanted to talk with somebody from their team. And with Skype for Business, what's fun is that you can add and organize people from other places. It doesn't have to just be your organization. So I have contacts from Nintex. I have contacts from Microsoft and I can just ping them, and call them, and video call them, and join into the conversation. So if you're working with partners or with vendors or with anyone outside of your organization and they're using Office 365 for Skype for Business or if they're using regular screen Skype, you can actually add them to your contacts so that it becomes one experience. You can have online meetings with up to 250 attendees. You can even use it as a phone. Now there are some extra configurations that are required for this. But you can actually use it as a phone to make phone calls, receive phone calls, and you can even have a PBX-enabled phone at your desk. So that you use the interface of Skype for Business on your desktop, but when you click on call, it actually starts using your actual phone next to you, awesome. Of course, this is all enterprise, great security, and management of employee accounts. That means as the admin, you're able to really manage who can do what and where, what calls and this is really, really cool. I'm very excited to get all of that. However at the moment, that is not available for Mac, so it's only for Windows users. For Mac, unfortunately, I think we're talking about, almost a year before that gets available for all these users. So we're waiting for that one as well. Now Yammer is Yammer. Yammer can be awesome, but Yammer can also be a lot of noise depending on the company. So the idea is you can see your groups on the left hand side. You can join the groups that you want and have conversations. Now for us it's been actually amazing. Because instead of sending out emails and having conversations between one or two people and not having anyone else know about the conversation we actually benefit by having open conversation. Just the other day somebody from our support team suggested something that we should do for our next conference and we're like, "Oh, this is an amazing idea. Let's start using it." Instead of an email between, say the marketing team that nobody knows about, and no outside ideas could be there. So, of course, you need Yambassadors or people that are power users in Yammer to help guide the usage properly and so on. But you also get this as part of Office 365. So you get a Yammer network for your company and you can join conversations. You can add people from outside. So that here you'd have to look and evaluate whether an enterprise social network is good for you. Usually it really is, just the fact of having open communication. My emails now are strictly external emails. I have very, very rarely emails that come from people from within our organization. Because usually we'll just do everything through Yammer, enabling other people to participate, and really grow our ideas, and our projects, beyond their mere capacity for doing it through email. So very happy with that, but definitely something to look out for. Otherwise it's pretty straightforward. For those of you that were counting on using the SharePoint social experience, the newsfeed, the mentioning, the hashtags, yeah, you're going to want to drop that really quickly. They've announced it many times that they're not working on it anymore. The entire team has renamed themselves to Yammer North. So definitely don't put all of your money in that basket. You'll want to evaluate Yammer which is where they're going for that. However, for those that don't necessarily want to use Yammer will see that there's another alternative. It's called Groups, and we'll talk about that very shortly. So I hope so far we're doing okay, right? We get the idea of Office 365. We subscribe. We get mail. We get Calendar. We get, of course, our Skype for Business and you get SharePoint. Now there's a beast in itself. I wasn't even sure if I was going to another webinar just on that. It is huge, and what people don't realize is that you get SharePoint with Office 365, and to be honest, the features are pretty much close to being on par now. Yes, for developers you can develop full trust solutions and more, if you want Server Site Coach, but there are apps and that's definitely something that's maturing. So what is SharePoint, and for those of you that are joining and do not have any idea what SharePoint is, it's the idea of creating sites. What SharePoint is, is actually a platform. SharePoint in itself is blank. You create what you want with it and what you can do with it is an intranet, an extranet, an internet facing website, though not necessarily always recommended. It depends on the scenario. Collaboration sites, process sites, applications, you can do tons of things with SharePoint. Usually we use them a lot for team sites and the intranets. That's definitely the big, popular use case in this scenario. But if I could put SharePoint into One Slide and I know a lot of people are going to hate me for this, but this is the slide. With SharePoint you build sites. You give them to people in the organization, and you allow them to build what they want using what we call lists and libraries. So lists and libraries, let's just go quickly see a team site. I must have one open somewhere here. I'm going to click on... I do have a SharePoint site, somewhere we can go navigate. That's the beauty. We click on Sites and we quickly go to it. And of course my lovely Office 365 video recording, webinar giving at the same time. We're going to see Stickies, but we see the sites. So there are different sites of different teams, or different groups of people, a different whoever has started creating it, so I can go to it, marketing documents here. And I'll go to that SharePoint site where you can build whatever you want from within it. So you create lists, libraries. Essentially they're tables that allow you to either organize data or information, lists of announcements, lists of contacts, and lists of whatever you want. Vendors, partners, and then you have document libraries, and what's really fun you get that quick preview as well. You can edit from here, but the document library essentially allows you to add metadata to your documents, tag them, and so on. By creating lists, and libraries, and putting them all together in a site, that's what SharePoint allows you to do. It's essentially that that SharePoint gives you. And that's still there in Office 365. That's not gone. That's not somewhere else. That's still Office 365 SharePoint Online. The benefit is you're going to see that with the experiences that they add. One example is OneDrive for Business, who's no longer just the new My Sites, it's actually a brand. Now some of you have seen this slide before. It is, I think, the best way to image what OneDrive for Business is. It's not My Sites. It's not the new My Site. It's not for those of you that are from SharePoint. What the My Site is, it's actually a personal site for each employee or each user of SharePoint. That used to be called My Sites, and yes, it did get part of the name OneDrive for Business. But OneDrive for Business is actually a whole brand. It's a whole new product. You can buy it by itself now. You can pay X dollars per user per month, and just subscribe to OneDrive for Business, but that has grown over time. OneDrive for Business is no longer just a place where you put your personal documents. It's also offline sync and it's also actually a perspective. That's a lot of content, I know. What I do want to say about... It's a perspective on all of your files everywhere, now. It has changed. It is no longer your personal document library only. What it is as an individual, as a person, as a user, you go to your OneDrive for Business as a mobile app on your browser to access and see all of the files that you work with, not just your personal ones. Let me explain. I'm going to go it. I probably had a picture, but I like live demos. I'm in my OneDrive for Business right now. So this is a personal place for me. Apparently, I'm Alex at the moment. I have my personal document library that allows me to put documents that don't belong in a Team Site where a group of us are going to be working on together. I put in these files, and if I want to share them with somebody quickly, I can. However, it's also the place to see all of my recent documents, regardless of where they are. In the Knowledge Center, in the Document Center, it's all of my recent documents. So you get the idea of OneDrive for Business being the place that I go to see the files that I work with everywhere. It doesn't matter where they are. All the files that have been shared with me, if those files have been explicitly shared with me by Garth, by Katie, I'm going to see them. Documents that I'm following, documents that are in sites, folders we call them. So on all of the sites you'll see them as soon as it loads. These are all the sites that I have documents in, that I'm following, and I also have My Group files. We'll talk about Groups very soon, but I want you to stop thinking of OneDrive for Business as a simple thing where you store your personal files. It's now what we call in Office 365, the files experience. Woah. That means wherever your files are going to be, you always go to your OneDrive, get it? All right, I just got it recently. But you go to your OneDrive to see all the files, whether they're in SharePoint, in Team Sites, in Groups. We don't care. They're shared with you. They're not shared with you. They're recent. You go to your OneDrive to see so you don't have to navigate between 12 Team Sites, just to find a different document, one in sales, one in training, one in marketing, no. Very, very awesome, guys. And there's even more coming, even better. Let's stay tuned. So perspectives on your files, I knew I had a screenshot. All right, you guys like demos better. Don't lie. All right, are you guys ready for this one? You don't have to answer. Now Office 365 Groups, this one caught me by surprise, but I'm getting used to it. Essentially it's like the new Team Sites, the SharePoint Team Sites. If I had the new thing, this is what every single speaker and every single person is starting to say these days. "If you had $100 and you had to bet on something where would you put that $100?" And where I would put it is in Groups for Office 365. I'd put not only $100. I'd put all of my money in there which isn't much. But I'll put all of that in Groups for Office because that's where it's heading. It's an experience. What Groups for Office 365 does is it allows you to provide conversations for that group of people. It allows you to provide a calendar for that group of people, kind of like a Team Site, but better. A OneNote Notebook for people in that group to share notes, and Notebook's amazing. And files, so you get one document library as part of the group. Now before we go, let me show you what it looks like, very, very important. The user experience is completely different than what you're probably used to. First, you go to your mail, and as part of your inboxes, and everything that you see in your inboxes, we're also going to see Groups up here. You'll see your Groups. So I have a Group for questions. I have a Group for Nintex, plus Sharegate, if I want to work with other people. So if I click on Questions, for example, here's what a Group provides. First, we get a bunch of conversation. So for those of you that don't necessarily want to use Yammer, you get conversations here. They're kind of like email and what's fun is then, you can mail enable your group. You can go into the details of your group that you've created, and you'll see that there are some options. You can send an email to this address and it's going to appear here, as a new conversation. So I can talk with people outside of my organization or never grant them any access whatsoever. All they're doing is sending emails to this email address and I'll see them here, which is awesome, right? What's happening? They've announced in the recent blog post by Microsoft that Yammer is going to be merged into here. Woah, you create a group. You get conversations. If you want, you can continue these conversations in Yammer. I'm guessing it's going to be another tab here, somewhere in the menu. Who knows? We'll see probably next week at Ignite. So I'm going to be able to have these conversations. I'm also going to be able to see that I have a calendar for an entire group, so I have my personal calendar, but I also have a group. So let's say I'm part of the Marketing Team, we could have a group called Marketing, and put our calendar items here. So that if tomorrow we have ten people joining the marketing team, they just have to join the group and they'll see all of these events pointed together instead of adding them as personal items. And then when that person leaves the organization or changes his role, then you don't have to change all of these events and whatnot. So definitely you could tell me, "This is like a Team Site." It's a place where you're going to have a calendar, but the calendar is... I'm not going to say the word ... it's online. But the calendar in SharePoint is the worst thing I've ever seen, possibly. The Exchange calendar, the one in your Outlook, which is the one that we get here, is definitely awesome. What else do we get as part of this group? I can go back to conversations. I get a calendar. I can add or remove members. I get a Notebook where we can share, add notes, and remove. OneNote is amazing for note taking, definitely check it out. But you also have files for this group, so I can click on Files and notice I'm getting redirected to somewhere that then redirects me to my OneDrive for Business to show me the files for my group. However, secretly behind the scenes, when I created a group, it created a secret SharePoint Team Site where the files actually are located. And right now we do not have access to the Team Site. However, we have sort of a window in our OneDrive for Business. The place where we go for our perspective on our files, and we'll be able to see the files that are actually in a SharePoint Team Site somewhere. So what is Groups for Office 365? Well, my friends it's the future of team collaboration and the day that they open that Team Site, that gets created automatically, we will have no use for just creating a Team Site. Remember, Office 365 gives you the regular SharePoint Online. You've still got that. But in an effort to provide experiences and ready-to-go solutions to users that can just create a group, and start using it, they'll get a combination of... we're getting there. We're going to get a combination of... First, the group is stored in Azure AD which is the thing behind Office 365, and they get a combination. Microsoft took the best of Exchange, the best of SharePoint, and they put it together and they called it Groups, and anyone can create them by default. You can change that of course, but that's how it works by default. You should know some things. It's not 100% ready right now for me. I find there's limited management. You cannot recover a deleted group and all the files and all the conversations. All groups can be seen. There's no compliance features yet. There are no retention policies on groups either, and there's no migration support. So at the moment it's still very young, but it is definitely the future, and there are many more announcements coming and I guarantee you, you will hear Groups, Groups, Groups, Groups. We already saw a blog post saying that Yammer's getting almost fused into Groups, so I don't even know if I'm going to visit Yammer.com anymore, if it's directly in my group. Man, we have quite bit of things, don't we, and we still have 15 minutes? I wish I could spend the day with you. All right, this, my friends, I've said this many times. But this is the bread and butter of Office 365. This is Office Graphs. Office Graph is not something you actually see. Office Graph is big brother. What I mean by that is, think about it. If you subscribe to Office 365, you don't have to worry about the servers. Microsoft has thousands, if not millions of servers to be able to do all the calculations, the CPU power, the RAM. So these get lots of power to do even more than we could ever do with our on-premises server. The Office Graph is something that graphs together, it links together, things that you do, things that make sense. "Oh, this is Benjamin. His manager is this person. He works with these people. He's opened this document recently and in his Outlook, he has a meeting in a couple of hours. This meeting is with John. This meeting is with Sebastian. He's also been visiting. So basically it takes what we call signals, in Office 365. It's called the Office Graph. Whatever Word document is trending, if you like something in a Yammer conversation, all of these things are captured. Don't worry. There are privacy policies, but it is all captured and then it allows you to build solutions, like Clutter and Delve. Let's go with Clutter first. Clutter is something that you enable in your inbox. You go into your email. Let me go back into my mail, and you'll see that I have something called the Clutter. Right now it's empty. This is a demo environment. What Clutter does, is it actually is Office Graphs, and as you read emails or always delete a certain email without even reading it, over time Clutter or Office Graph is going to learn what matters to you, or what doesn't matter to you, and it's going to start thinking, "If an email comes in and it's from that particular person, to put it in Clutter automatically." Do not expect this to work on Day One. It's a machine, learning. It's going to learn over time, over a month, over two months, over three months, until it becomes very solid. If something goes into your Clutter inbox, put it back into your inbox if it shouldn't be there, and it's going to remember that. It's going to remember the words. It's going to remember the, from address. It's going to remember the subject line. It's going to remember quite a few things, allowing you to put this back into it. So this is extremely cool, and uses Office Graph based on what the Office Graph learns. But, of course the second thing, and this is what's getting a lot of popularity in Office 365, it's Delve. Delve is also an experience. It's a people experience. First, you get to Delve. It's on the App Launcher as well, and by the way, you can always add links here at the top. So I can say, "I always want to pin this to the nav bar and I can always at my coworkers have modified recently, what's trending, what it thinks I'm going to use, what are some views. I can even, what I can do, if you've used Pinterest before, I can add this to a board. I can add something else to a board. So I can call this demo Sharegate, enter, and then I can go to something else and it's going to be available, and I can put a couple of things inside of my board. So if you have a product pitch, if you have something you want to share with someone, you can then go to demo Sharegate. There they are. But on top of this, you can send a link to this board, kind of like Pinterest. So if I'm working on a presentation and I'm going to go meet someone. I can create a board, put a couple of documents in it, and leave it as a link, so people can get that and access the whole package together, regardless of where your documents are. Some of them they might be in My Sites, some in my domestic sales site, and some in the Document Center. I can have Yammer conversations. I can preview the document straight from here. This is extremely cool. But on top of that, I can click on My Profile and I can see some of my own activity. This is kind of like My Portal. There's also an iOS app for Delve and Delve is also responsive. So it'll adjust, based on the size of the screen, and of course, the device that you're using. So these are only the files that I've been working on recently. So this has become my go-to place. When I open up work in the morning, I don't open up my emails... Well, I do. But then I go to my Delve and see the documents I have been working on, so I don't have to go browse and find them. I can do the same thing with my colleagues. Where's Robin? I can call that person. I can email. I can send them a message and open up Skype for Business, and I can also see the documents that Robin's been working on, always, if I have access to them, of course. This is really cool and if I click on Profile, whether it's on My Profile or on somebody's profile, I'm going to see where they are in the organization. This is kind of like the new My Profile, if you want. Organization, who is my manager, contact information, past projects. And again, this is all available as part of an app that you can use and is responsive. Extremely cool. All right, so that's Delve, but Delve is nothing but a little interface on top of what we call the Office Graph. The Office Graph is the real fireworks. It's the real power behind everything. And developers, if you're a developer, you're able to create apps using the Office Graph, and there's more and more coming out already, and the benefit is that the app is going to work on Windows 10. It's going to work on SharePoint. It's going to work in Office. It really makes it across the board, so very, very exciting as well. Making SharePoint not tortured. We leave that as being sites lists, libraries. We put that as an experience called Groups. We have the Office Graph collecting all of our information, based on how we're using it, and then you're going to be able to use it as an app however you want. Whether it's to create something like Delve. Whether it's to create something like Clutter to clean up email inboxes, there is tons of potential here, very, very cool. All right, so that's Delve. Portals, that's what Office 365 is all about. What is an Office 365 portal? What an Office 365 portal is, it's something that is ready to go, ready to use, ready for mobile, and little to no customization possible on your end. The portals, you've already seen one, Delve. This is the People Portal. You don't do anything. You can't customize this. You can't do anything. You can only change the values. Who is that person's manager? Be about me and so on and so on. But once you get the Delve Portal, everyone in the organization gets a profile. Everyone can see their activity. Everyone can see their colleagues. It's something that does something that's ready to go. Remember the problems that we were facing. Remember what we were talking about at the beginning. This is what I'm talking about, is instead of having your users, your people in your organization bypassing you, instead of you saying, "We're going to build an intranet. It's going to be available in a year and a half or in a year." Instead of doing all of that, you create or you use the People Portal. You will use the Video Portal. The Video Portal combines Azure Media Services, so that when you upload a video... let's go check it out. When you upload a video, there it is. Of course, I have videos of myself. Classic, Ben is full of himself. But I can put videos as Showcase over here. I can see the popular videos. I can see different channels that we create and upload videos. But the beauty of this is that because it uses Azure Media Services behind the scenes, you as IT, you don't have to build anything, and the business users don't have to go and get something elsewhere. You create the Video Portal. It already works. You can't really customize it. It works on devices. There's an app for phones that allow you to record the video from your phone and directly upload it to your right video channel, for your Video Portal. It also then goes into Azure Media Services. That makes it available for all players on all devices without you having to worry about anything. If you're going to do a Training Center at the office, do it with the Video Portal. It's ready to go, works on iPads, iPhones, whatever tablets that exist, Surface. It works on everything, on computers, flash, no flash, HTML5. This is awesome. Now of course, these portals are brand new so do expect some. . . A little immaturity. There are some things I wish were there, but I've seen the backlog, the roadmap, and honestly we're in for a treat this year. We definitely are. What else did we get in terms of portals? Well, let's go check it out. Oh, the Power BI Portal. Power BI is completely free. When you're using it it's free. It is amazing. Of course, it's a premium model. That means you're going to have to pay if you use it too much, which you will. Power BI is a portal that is free, that allows you to create really meaningful data experience. It comes with a free BI Designer. It's a little tool to create these dashboards that is extremely friendly and easy to use. And on top of that, it also comes with apps on the Apple Store. I don't believe it's on the Window Store yet, however. It's just the Apple Store. So you can create these dashboards and then walk into a meeting or executives can use or consume. Once again, you want to see this? This is amazing. I have one opened up. This is what it looks like. Again, completely free. I've created. . . You can have multiple dashboards. You can have multiple reports. So here, this is one dashboard. I can click on one of them and go inside that particular report. Everything is interactive, touch friendly. I can click on this person and it will filter everything else to show me for that particular person. I can then say, "Well, I really just want to focus on this," and it's going to adjust everything else on the page, as well. It is extremely cool. If you're not using it, go to Power BI.com and start using it right now. On top of that, the more data that you connect, the more data that you put inside of this, you can actually ask it questions. For example, stores, and it shows me all of the stores that it has from the data that I connected that we have. And if I want to say stores by, I don't know, region. Does that work? There it is. Or sales by stores, stores by district, there are tons and tons and tons. I can just ask it questions if I could type. That would be awesome. There's sales and you can click, and you can get more details, really, really cool. I've explored this quite a bit. It comes with iPads, and especially for me the iPad app is the best feature that you get out of this. It's all interactive. You create reports. This is all free. You're connected to data that's in SharePoint and wherever it is, to your business connectivity services, and then your executives can interact with this, and they're going to give you a raise. You can even. . . You hear that? Shared dashboard, you can also share your dashboards as well, with people that you need to share this with. For a meeting, this is really, we're talking about experiences. This is the best experience that I have right now that's my favorite one of all, for sure, for sure. What else do we have? Well, don't worry. I know we're getting to the end. What's coming for Office 365? What's coming soon? Now you may have missed it, but they've also introduced, and you're going to hear about it and see it in action next week at the Ignite Conference, either live through Channel 9 or follow the Sharegate blog. As always, we're going to be up to date on those things. But they're announcing an intranet, Next Gen Portal. That means that it's not what you're looking at. This is just a generated picture. But you're going to be able to have an intranet ready-to-go. Remember what is a portal? It's ready to go, ready to use, ready for mobile, little to no customization. We saw the People Portal for a person profile. We have Video Portal, and we're going to get the Power BI Portal. We're going to get the Intranet Portal. We're going to get the Knowledge Management Portal, and there are many more. There are some that, unfortunately I cannot share with you, but trust me. I've seen them and they are awesome. You'll definitely want to be looking at this, and again, it's not about cutting your jobs or removing what you could do with SharePoint. The fact of the matter is it's the reality. People in your organization, they're bypassing you. They're using Pinterest. They're using Dropbox. The idea of Office 365 is to cut little pieces of different products, put them together in a way that you can use it right away that makes sense. And these portals are definitely the way to go, allowing these users to stay within our ecosystem as long as possible. Now there are tons of other things that we don't necessarily have time to cover, so I wanted to make sure to mention them. RMS, Rights Management Service, or Information Rights Management, IRM allows you, in Office 365 depending on your plan, I believe this is E3 and up, allows you to protect documents in your SharePoint site, in your OneDrives. It's called SharePoint to prevent people from, say printing a document. So it gives you protection at the document level, at the email level it will prevent it from being forwarded to somebody. Prevent it from being printed. Prevent it from being opened on your computers. There are tons of RMS features or IRM features that are extremely cool that you get as part of Office 365. There's also a new Compliance Center that's coming out very soon for the admins, allowing them to really control and audit everything that people are doing. So we can say, "Hey, what has Garth shared with John in the last 12 months?" And the idea is to give you that compliance feature. Of course, Office 365 also comes with an amazing eDiscovery Center that allows us to use search and discover, say you have litigation. You have to get everything related to Product A. It's going to find them. It's going to freeze them, put them on hold, and you're going to be able to give them to the Legal Department. So lots of cool features on that and you should definitely look out. So the big question, "Should you go all in to Office 365 or should you look at Hybrid?" That is a completely wrong question to ask, right? You have to look at what makes sense for you, for many organizations. And in fact that's why SharePoint 2016 is promising Hybrid, Hybrid; Hybrid. Because many are going to want to use the on-premises SharePoint, the on-premises servers that they have, to create certain customized solutions. So you can customize experiences that cannot be done in Office 365. But they're going to connect with Office 365 to provide additional experiences that connect with that on-premises experience to provide an overall ecosystem, so that your users don't start going elsewhere. They stay within an environment that you control, that you can manage and ensure compliance, that you can look into to control the devices of people that are using your services, whether it's OneDrive, whether it's on-premises, SharePoint, whatever it is. So that's the wrong question. You could go all in, if that's what makes sense for you. If you need a certain level of customization or you think you want it on-premises, don't exclude Office 365. It can very well work together, I can never say that word, harmoniously. I'm French. We can excuse that. All right, so all in or Hybrid, honestly it depends. It always depends. That's the SharePoint way. So the vision. I'm going to finish off with these last two slides. Thank you for staying an extra three minutes. We really appreciate it. But the vision versus the reality. This is what we saw today. Office 365 provides an additional layer that we call experiences. First, you have your files experience. Wherever your files are, in Groups, in OneDrive for Business, in your Team Sites, this is called OneDrive for Business experience now. OneDrive for Business gives you that files experience. If you're looking to search or discover content, whether it's documents, whether it's people, whether it's anything that you want to search and discover, it's called the Office Graph and usually we're using Delve. If you're talking about collaboration between teams, between groups of people, you're going to have to choose between a Group in Office 365 or Team Site in SharePoint. But I'll give you inside information. Right now the SharePoint Team Site is definitely much more mature now and there's a lot more flexibility. But the day that the Groups for Office 365 opens up access to the SharePoint site that gets created, SharePoint Team Sites are no longer going to be a need. Video, the Video Portal actually uses SharePoint for sites. Every channel is actually a site collection. It uses search to display the content of videos in the homepage and it uses the Azure Media Service to be able to transcode the videos and make them available for low bandwidth, high bandwidth, and different players available on different devices. In terms of business intelligence, it's either Power BI or Excel, if you want to use Excel Services, or just create Excel dashboards with Power View. For people finding, or people in general, we're going to be talking about the Office Graph again, Delve again, for that experience. And in terms of communication we're talking Exchange, Yammer, and of course, I forgot Skype for Business, definitely very present in terms of communication. So guys, this is what they want you to do. Between you and I, I don't know, but we're in a period of change. Everything is changing. Let's not kid ourselves. We're no longer going from 2003 to 2007 to 2010 to 2013, and just upgrading and getting the cool new gadgets. We're changing everything. The business is bypassing us. We've got to find solutions to keep them within our ecosystem, within a place that we can manage and keep them compliant, and for that, the idea is that this is the Microsoft perspective. It doesn't matter where your files are anymore. That's my expression. Now I want to believe in it, so I'm going to give it a try. We're going to try putting things in our OneDrive for Business. I'm putting documents in our Groups and putting documents in our Team Sites, all over the place, and then the idea is to rely on the Office Graph and Delve to find the documents at the right time. But it's going to take some time and when somebody tells me it doesn't matter where your files are anymore, I know it's not going to be an overnight shift. But technically they're right, right? If we're able to find all of the documents that we need for archiving purposes, for retention policies, for legal purposes, if we're able do all of that using the search in the Office Graph, then why not, right? But yeah, it's going to be interesting to see what's coming ahead. A lot of things are changing. Our industry's changing. Microsoft is changing. Our business is changing at the same time. We need to change. We need to adapt. It's not time to exclude Office 365. It's time to look at it and see which experiences could potentially make sense, to combine with our on-premises environment, and see where we go from there. Guys and girls, thank you very much. I know some of you have joined from very far and I'm very, very appreciative of all of this. Thank you. All of this has been recorded. It will be available. I hope you enjoyed it. We'll stick around for a few questions, but otherwise, til the next time and possibly see many of you at Ignite. Thank you very much. What is difference between Microsoft Delve and OneDrive? OneDrive is your own repertory. Delve is an aggregator of all files from your team, etc. With OneDrive for Business, what happen to that person's access to the files if he/she leaves the company (resigns or gets fired)? What are best resources for learning about Office 365? How is the group calendar better than the SharePoint calender? It's linked automatically to your Exchange calendar. With the SharePoint one you need to add it manually. Is there O365 in MSDN Subscription for testing purposes? Not for user, but yes for Microsoft partners. Are those group feeds available in desktop Outlook client? We are currently looking into a hybrid solution with our on-prem and O365. Some of the sites are going to live on the O365 and some will remain on the on-prem. We do utilize features such as the term store and am wondering if there is a tool Sharegate has that would help with the syncing of the on-prem term store and the O365? Sharegate can migrate Term Store from On-Prem to O365 and Vice Versa. It's a new feature so you might not be deploy right now. You'll see it when it's available. In delve, the users activity is broadcast to platform is this just integrated Office 365 activity or is it monitoring local document work as well? Are there options for administrative use? It's for everything in the cloud. Hopefully, the new SharePoint 2016 will communicate better with Office 365 so that Delve can bring that stuff over also. How do you access the BI app? (I am in a hybrid environment) does that make a difference? Power BI needs to be licensed on Office 365. You'll see when you have the right license assigned to your user. How does working in Office 365 and having an organization working of a file share work compared to OneDrive? That's a big question that would require more that this chat... But let me try! People can still use the same "file share" if they sync their O365 library on their PC. One Drive for Business is the exact same way of working. Change management should be done and a lot of training is required. How do you opt in to Skype for Business? If your office installed is Office Pro (from O365), you can update from Word or Excel and you'll get the Skype for business apps right away! I didn't hear any mention of Dynamics CRM online. Does Power BI and other apps link into Dynamics? Can i have external users to group and how? That's a good question, I have the answer for sites/list ... but don't know for groups, we'll verify and let you know later. What in Office 365 would replace a SharePoint intranet site? You could build and Intranet Portal using the Publishing site template. Hopefully, Microsoft will bring the "Intranet Portal" as a template in the next releases. 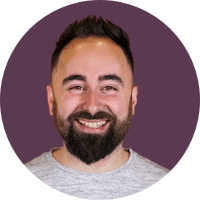 Regarding SharePoint Online's constant changes:Would you recommend creating a brand new master page , or would that endanger the stability of your site? Microsoft is doing more and more stuff to make sure that you don't customize the look too much. I would recommend to stay the more Out of the box as you can! BI is a feature that need the E4 license. Video portal is fairly new so hang in there and you'll have access to it in a few. Can we create multiple document libraries in Office 365 groups? I am new to this Office 365, Is that the SharePoint online and Office 365 are same or different? SharePoint Online is part of the Office 365 whole product. Is Social dead for O365 and on-prem? Newsfeed will die in a few for sure. Yammer will be the new Social for O365. Any tools in place to clean this stuff up from time to time? empty or unused groups, team sites, etc? Sharegate Management can do a lot of queries on Sites and multiple objects. You can see unused content for example. I'll suggest the Groups to the team, thanks ! About Skype for Business. Will Office 365 be offering the SIP trunks for voice? It's already there in the US. There is some offering about it. Will I need a one box for Skype for Business if I am already an Office 365 customer for external calls? It's great question to ask on the Yammer Office 365 Network, do you have access there? Is this office graph available in On-Premise? It's only on Office 365. How does the profile syn work in Office 365? With DirSync and ADFS for authentication. What about MySites in Office 365? What happens to the existing content on my sites after migrating to Office 365? You have the choice to decommissioned your OnPrem Farm. Can we say Delve is like my site? A little different. One Drive for Business is the "My Sites" and Delve is an aggregator of files from you and your team. When will Skype for business be released? It is as we speak. If you have Office Pro, try to update and you might get it! So if I create a group in my OneDrive, when i leave the company does that data stay or does it purge after my account is unlicensed? Purge after 30 days the account is disable. That's why you need to take action in that 30 days. Same as your mailbox. How good is SharePoint for content/document management as opposed to using a specific application for documentation management? SharePoint Online is really good for content/management because integrated with Office Online, the ability to add metadata, to share with external users and access from everywhere. And when making changes, it changes the document that is located within the library in SharePoint or OneDrive, depending where it originates from? Yes exactly. It will modified the document to the source where it belong. How do you differentiate OneDrive, Yammer file savings, and SharePoint? Good question, this is the complexity of O365. I like to use OneDrive for personal documents, SharePoint for collaboration and not saving files into Yammer (just sharing links). Depends on your governance plan. Ben, this is all great. This clearly has a lot of capabilities. a company using this to its max will have a lot of data. This data is a goldmine for advertisers and investor analyst. How, can we trust that this data is not being data-mined by Microsoft or sold to third parties? Microsoft have a lot of certification around the product. I'm sure you can find what your looking for in their site but trust me, the security is their first priority. Is there any way to limit what other users can see in Delve? If you set file access to be hidden or read only, will other users be able to view what you are working on? No they won't see it. Security trimming is enable as you can see everywhere in SharePoint. How do you add the video portal? It's a new feature. It will appear in your Office 365 in a few! Can we add a link to the app launcher to go directly to a specific SharePoint site? I want a fast way for folks to jump to the main portal SharePoint site. Not in the App Launcher directly no. But if you go to "Sites", you'll be able to add your "own" sites in there. People could also use the "Following" option to follow a site. With Delve, is it all about documents? We are heavy list users here. Does it surface list items or only documents?